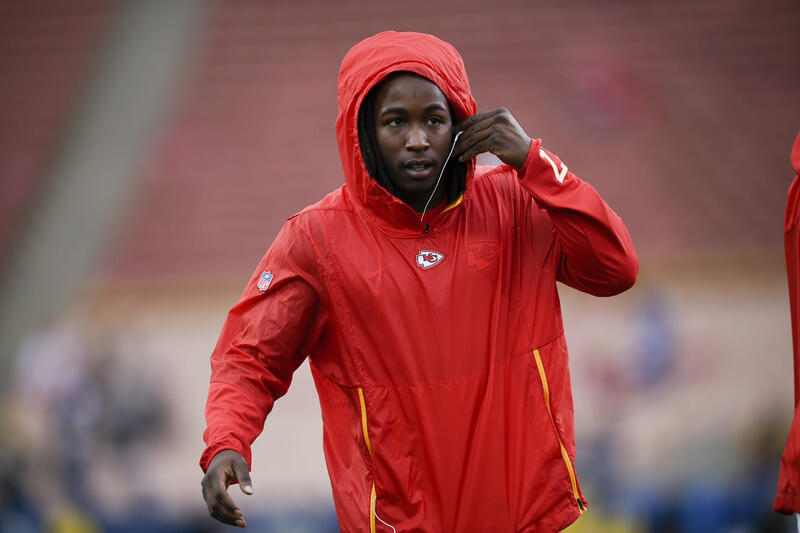 FILE - In this Nov. 19, 2018, file photo, Kansas City Chiefs running back Kareem Hunt warms up before an NFL football game against the Los Angeles Rams, in Los Angeles. The Cleveland Browns have signed Kareem Hunt, the running back cut by Kansas City in November after a video showed him pushing and kicking a woman the previous February. For the full stories from 8 other publishers, get Crisp on your smartphone.